Employees working alone within hazardous environments face the risk of injury, health incidents and physical assault in the workplace. 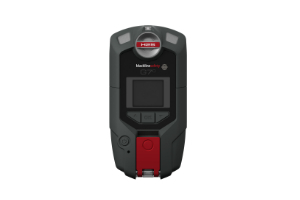 Blackline’s Loner® M6i is ATEX certified intrinsically safe and continuously monitors the safety of lone workers and alerts monitoring personnel in real-time if the unexpected occurs. Respond in the fastest time possible—to your employee’s precise location with Loner M6i. Blackline designed Loner M6i from the ground up to be the most advanced safety monitoring solution available. Designed for industrial applications, it incorporates 3G wireless communications, advanced positioning technology, automatic incident detection and manually-triggered safety features—all in a compact and easy-to-use package. Features include True Fall Detection®, man-down (motionless) detection and a failed employee check in. 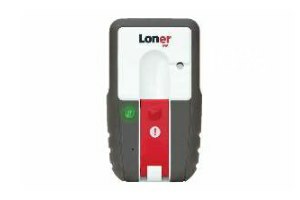 Loner M6i incorporates an intuitive emergency latch that is easier to trigger than a button and can be accessed if the employee’s vision is impaired. A silent emergency button is also available for duress situations. Loner M6i incorporates GPS for precise outdoor positioning and is compatible with Blackline’s Loner Beacon positioning technology for locations throughout and nearby buildings and facilities where GPS signals are imprecise or not available. Blackline’s Silver service plan enables organizations to self-monitor their lone workers using Blackline’s Loner Portal web application. Our Gold service plan delivers around-the-clock live safety monitoring, leveraging Blackline’s in-house Safety Operations Center or one of our Alarm Receiving Center partners. To empower emergency response, Silver Voice and Gold Voice service plans are available, connecting monitoring teams to an employee in need of help via built-in speakerphone. Loner M6i achieves all requirements of the British Standard BS 8484.
device management, alert & notification settings, and more.